This post is written by my daughter. For the prelude to her story, read here. It’s taken nearly a year to heal my broken heart—to relive the rich memories with a song rather than sorrow lacing my heart. It’s been nearly 11 months since I left with a group of students from Liberty University to spend the summer in Guatemala. 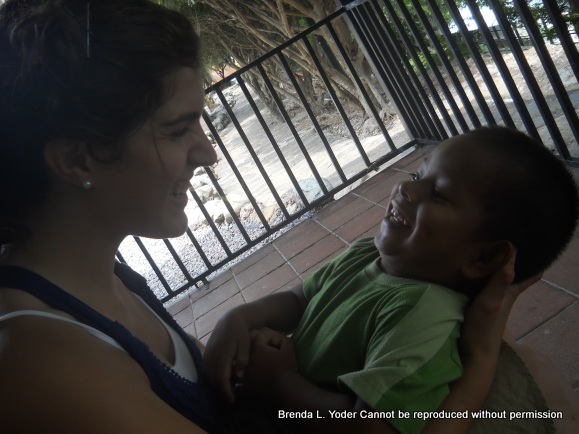 While there I had the opportunity to learn Spanish, live with a host family, and revel in one of God’s sweetest gifts to me—the chance to work in an orphanage. 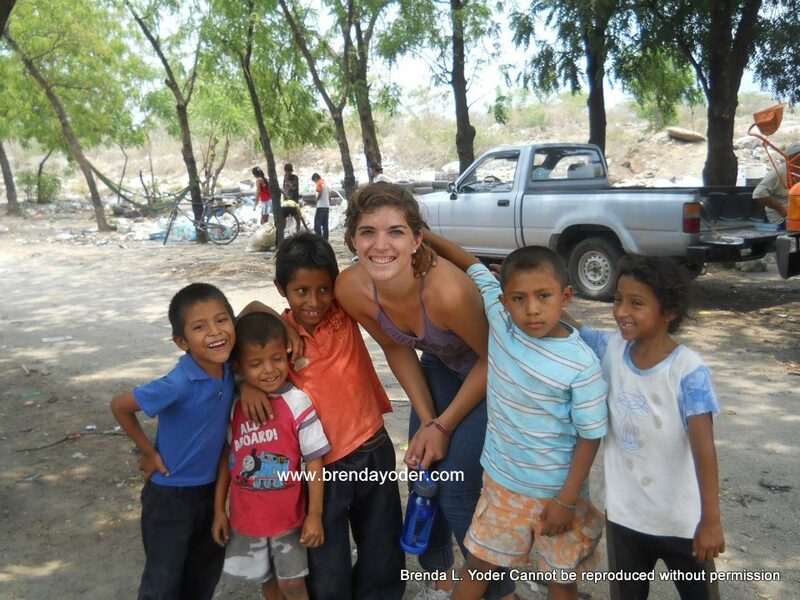 We did ministry by serving the Guatemalan people in various ways. I saw pain, suffering, and poverty. I saw people who had nothing. I saw teenagers who weighed a mere 40 pounds from lack of food. I saw a woman with Down syndrome living in a trash heap. I saw a boy with epilepsy whose bed was nothing more than the ragged and worn hole of a hammock he shared with his other siblings. But I also saw joy amidst the sorrow and healing among the brokenness. As I was serving in the orphanage I was honored with the sweet and precious gift of loving these children—the forgotten ones. These little ones had a cot to sleep on and tortilla and beans for their bellies but didn’t know a father’s love or a mother’s touch. For me, that is where the difference lies. The street children and sickly kids may not always have a full stomach or a spacious home, but they have parents. They have someone who loves them—who is willing to go days or weeks without food so that their children might have a bite to eat. Some may argue with me, but I find it hard to discern which is worse— go without food, or not know the love of a mother or father. 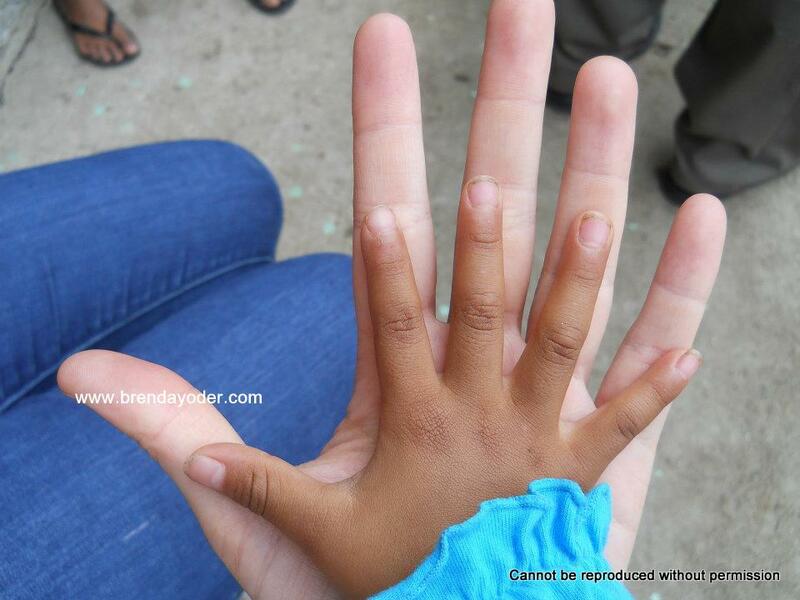 The first day at the orphanage, I held a 3 year old in my arms named Andy. Instantly, I knew the warm truth that trickled deep into my soul: he was mine. I believe God draws different people to each other. He drew this precious bundle of laughter and mischief to me. I visited him in the baby house every day. Going on walks, we giggled, tickled, played, laughed and chased each other. All the little things little boys do. When he said that, how could I ever go home? I don’t know why God drew me to this certain child. Maybe it was his crooked smile, or the way he would jump into my arms when he saw me. Or how he begged me to just watch him play soccer for hours. Or the way he would take my hand and off we went to play marbles, cards, or just sit and talk. Other children could sit on my lap, but only if he knew where I was. Maybe it was because he reminded me of my own three little brothers who are now too old to sit in my lap. I don’t know, but what I do know is that he needed to be loved and that was something I could do. For a time, I honestly thought I would never leave. I was having the time of my life. My favorite compliment was when people asked me in Spanish if I was “mixed,” thinking I was half-Latina because of my tanned skin and dark features, but knew I wasn’t because of my blue eyes. I would proudly reply, “My Grandpa’s Italian” and beam because they thought I fit with the culture I was becoming a part of. I even got use to the rats and bugs. They didn’t bother me so much. I loved the simplicity of life there—the relaxed atmosphere, the friendliness and love of the people, and not having access to modern technology. The week before I had to leave, I hardly slept. I couldn’t believe the time had come. I’ll never forget whispering in Andy’s ear “Te quiero muchisimo mi niñito” (I love you little one) knowing he wouldn’t understand that the next day I wouldn’t be coming back. 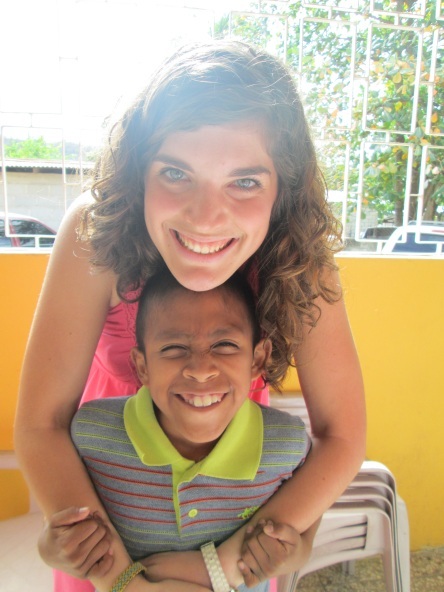 Saying good-bye to the other kids was painful, especially when Julio, my treasure with the twisted leg, looked at me and said “Adios preciosa” (Good-bye dear one). As soon as he said that, I kissed him, and walked down the mountain because if I hadn’t I never would have. Tono was the good-bye I was dreading. He buried his head in my stomach, squeezed me tight and we said good-byes. I came back to the U.S. and cried every single day for the next month. My heart had never been more broken. Life went on. I went back to school. There were days when I would weep on the floor of my dorm, crying out to God asking, “Why?”…. Why what? I didn’t even understand the questions in the depths of my heart. But God heard them and he allowed me to go back for 2 weeks in January. The highlight of that trip in January was spending time at the orphanage. I saw the precious bundles of joy that I had missed every second I was gone. Once again, I kissed, cuddled, tickled, chased, and played hide and seek with my baby Andy. I held Elias while we watched a movie. I held tightly to Julio (the boy with the twisted leg) as we jumped on the trampoline the orphans had gotten for Christmas. I told Leydi and Alexa they were beautiful, I tucked Marcos into bed and kissed his sleeping cheek. He is just ten years old. These last few months, God has been faithful as he has graciously helped me release the bitterness and anger at Him in my heart for tearing me away from these precious kids. It was only when I acknowledged my bitterness and anger toward the Lord that my heart began to heal. It was only after this happened that when I looked at pictures of the children I could smile and remember instead of cry. Now I have a joy in my spirit instead of sorrow in my heart. The little children go to Jesus, not me. They are His and not mine. He loves them more than I do or ever could. Instead of mourning a loss, I celebrate the fact that Jesus knows each one of us and our needs individually. He is taking care of the children; He only used me to help him for a time, but what a blessing it was. If you are a parent, hold your children close and tell them you love them because there are millions of kids out there who do not have parents—little girls who will never have a daddy to tell them they’re beautiful and little boys who will not know a mother’s loving touch. I write this in faith that I am going back. I don’t know when, where, or how but God has told me I am going back. I claim that promise. In the meantime, I pray for the precious ones and trust God knowing that He is loving them and meeting their needs in a greater way than my simple love ever could. How are you living that out in your own life today? If you would like to sponsor one of the orphans at Hope of Life Ministry, please contact them and begin a relationship with one of these children that will change your life and theirs. Click here for more information. God bless your heart of abundant love and courage. You shared a priceless gift to God’s children that society has forgotten. I knew the heartbreaking feeling of seeing these innocent children who are growing up hungry, deprived of basic needs, no parents to guide them, yet when they smile, they smile like they have sunshine in their hearts. I work in a government hospital in the Philippines before coming to America. Now I ask myself if I did the right thing. One day, I hope to go back and serve in whatever way I can. I hope my prayers will be heard soon. Thank you so much for reading and for sharing your heart that is captured by the human spirit. You have a tender heart I always see in your writing, too. Thank you. This post is absolutely wonderful!! It’s left me in tears and with a heart full to go love on my 5 little people! Brenda it’s obvious God’s done a work thru you in raising your daughter! And Kaylee thank you for sharing with maturity beyond your years! I trust God will continue to work thru you in amazing ways! Thank you both for sharing!! Kaylee has her mother’s way with words. My heart was touched with the weight and worth of her words. It is beautiful to see a young person’s heart so full of God and love for others. God will lead in His timing. I love her promise from Him. Thank you so much Pamela. She is a young lady who experiences life in with much depth. It’s a privilege to watch her grow in Him. Brenda, I was so moved reading this. It reminded me of Haiti and the loss I experienced once I left there which took months to heal. Even now as I read this and reflect, my eyes are filled with tears for people only God has placed in my heart. I can certainly identify with Kaylee. Truly, relating to others and then having to let go is painful…even those outside our biological families. I see so much of you in her…”like mother like daughter”. Thank you Marian. I know you understand the missionary’s heart. Thank you for this beautiful post written from a mother’s heart!! I felt as if I was right there with you as you played with, held and loved on these children. How blessed those children are to have been loved by Jesus through you!!! Thank you so much for your kind words Wendy! Oh my! My ears are full of tears. I’ve often wondered if I visited such a place if I could leave and return to my “normal” life. Thank you for your words of wisdom and humility. I have asked God for the opportunity to help in such a way outside of the US and am waiting for Him to open the door. Brenda, I look forward to meeting you this summer in Rockford, IL! I’m looking forward to meeting you, too! You will hear the fullness of why this story has so much depth to it and so much of God’s grace in it. I’m looking forward to it! I read this post first before reading the prelude. Both posts were heart-wrenching. Truth is, as I read your daughter’s words, I couldn’t help but shed a few tears. For the pain, the poverty… the injustice of it all. I live in a country where the gap between the rich and the poor cannot be bridged – it’s too wide a disparity. 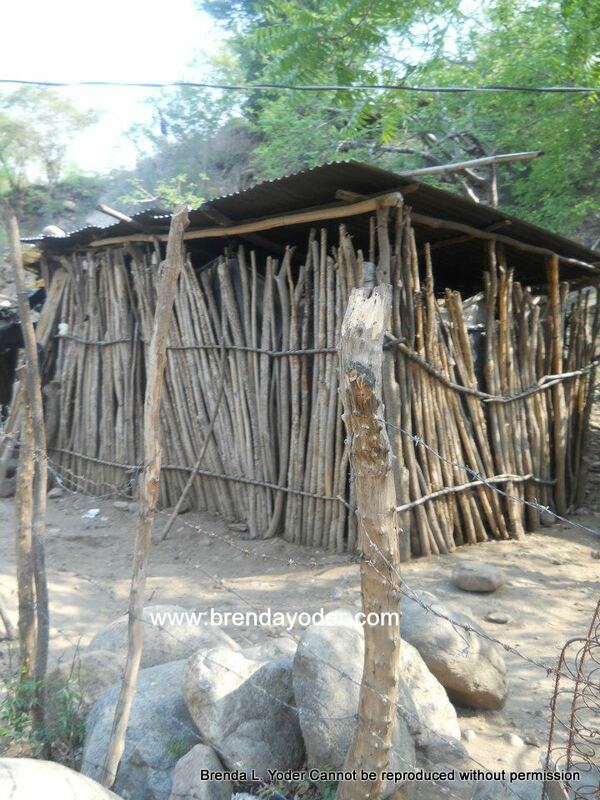 But even the poverty I see around me seems nothing compared to many accounts I have read of the poverty in Haiti. How much more painful must it have been for Kaylee – who has grown up in a “first world” rich country as yours… How beautifully she has expressed herself. As a mother of three adult children, I can only say that you are fortunate to have a daughter who has allowed her heart to be captured by the King. You did well to release her to her calling, for there really is no better way. LIke Mary, you also have your own pain at relinquishing what is so precious to your heart. But the joy you receive in return is immeasurable. Thank you Lidia. Knowing your heart and the depth of the love of God you have, I receive every word you share as a blessing from Him. There’s more to this story that I don’t share but only when I speak to audiences, but the journey she has had in letting Jesus be her first love is one of grace and mercy. Thank you so much for reading and for capturing the heart of Christ in this experience. My love to you in Him, always, my dear friend. Thank you, Ingrid, for reading and for continuing on your own journey where Jesus is taking you! I am thankful you are returning and perhaps are, too, building relationships and seeds in the little ones that will fill them for a lifetime. Thank you.